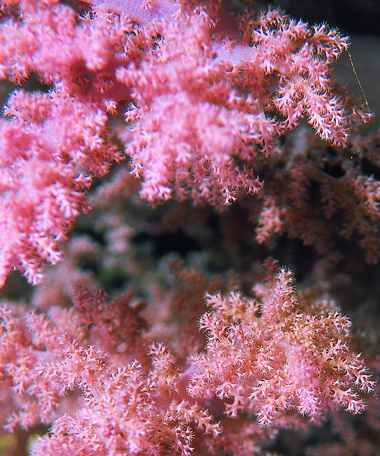 Small and beautiful forms are created by the corals. A city in turmoil. Thousands of inhabitants are turning to their tasks, constantly going back and forth through the winding streets of the colony. At night, the city never sleeps. This is how a coral reef looks like. A true underwater metropolis! Its massive structures made of limestone deposited by living organisms, coral polyps, are home to more than 25% of marine life. More than four thousand different species of fish, seven hundred species of coral and countless plants and animals are one of the most complex ecosystems of the planet. An aquatic paradise with enchanting colors …Since most of the coral polyps has a transparent body and a white skeleton, one wonders where do these pigmentations come from? 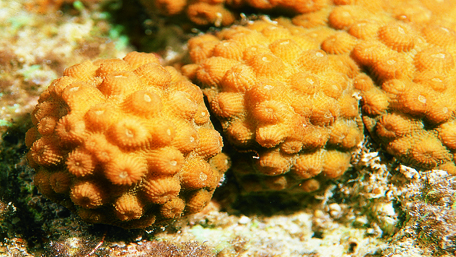 Through”zooxanthellae”, the mono-cell algae that is present in the polyps. Imagine that there are millions of these algae per square centimeter…and these are the pigments of these algae can be seen through the translucent body polyps. 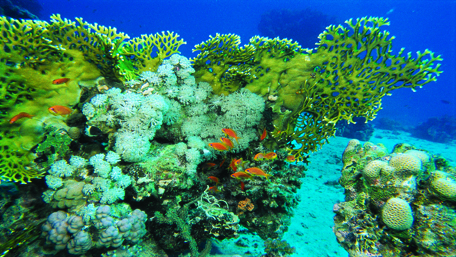 A coral reef is a real world, a world apart. 500 km3 of solids for a single atoll…250 times the mass of New York! Often mistaken for a rock or plant, coral is actually a living colony formed by a multitude of invertebrates, coral polyps, which live and die, eat and reproduce. At night, billions of tentacles spread out in search of food. Crustaceans, larvae, plankton and even spawning fish are part of the diet of these tiny living things. 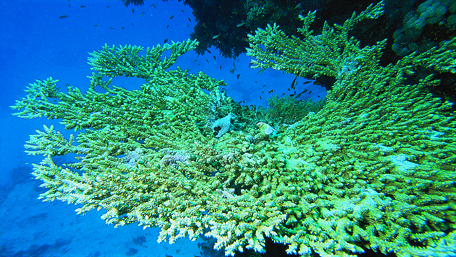 Some polyps also feed through “zooxanthellae” living in their skeleton. These provide energy to their hosts by photosynthesis, producing sugar by using solar energy. A life in a very beneficial symbiosis algae supply polyps with oxygen and food, so that they provide the algae with carbon dioxide and give them a safe and protected home. 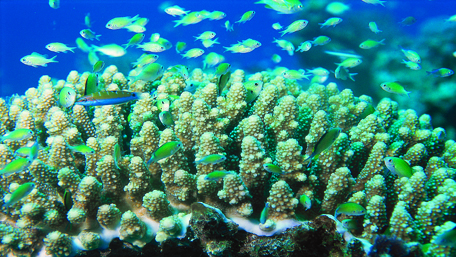 Coral reefs we see today began their development 50 million years ago! Their size is often used as an indicator of age, but this can be misleading. 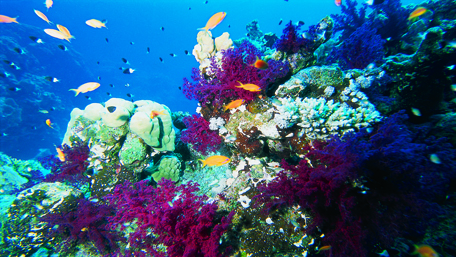 Indeed, the growth rate varies among species of coral, the water temperature (optimum between 21oand 29o Celsius), the level of oxygen, food availability, and water salinity. Some species grow 20 cms a year, while others only 2-25 millimeters. 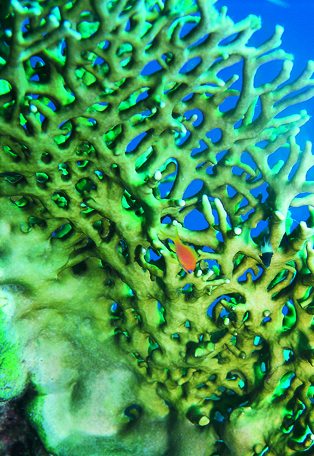 Corals are true engineers, they outperform humans. Not only are they a refuge for marine life, but these reefs also protect coastlines of many countries. We owe them the white sand beaches and the blue lagoons and pristine blue waters. A wonder of the world which must be safeguarded and preserved at any price!